California is at the leading edge in employment law and frequently sets the pace in defining laws that eventually sweep across the nation. 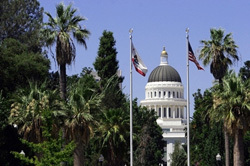 This unique environment makes California employment law especially dynamic and challenging. CELC members are among the largest and most significant employers in California. We take a moderate, pragmatic approach to employment law that reflects the core values of our diverse membership. Discover the most cost-effective way to stay on top of California employment law. Learn more about the benefits of membership or contact CELC today.